Ahead of Swoop Datacom’s upcoming launch of version 2 of their platform, I spoke to John Bennett, CEO of Swoop Datacom, to see what’s coming in their latest release. “The key thing we’re doing is expanding our portfolio. When we first started, we came from a telephony background, were involved with Snom for the first IP Phone, made the first IP-PBX and realised there was a huge gap in the market for provisioning multi-vendor endpoints and subsequently developed the first ‘born in the cloud’, multi-vendor provisioning and management SaaS. We’ve delivered a commercial channel based model and been very successful. Now, we have access to 65% of the global market in terms of distribution of IP based end points across our multi-vendor estate”. “We’re looking to migrate over 15 million legacy endpoints across 5 or 6 vendors as they continue their journey to the cloud. We’re working closely with Cisco, Polycom, Mitel and Avaya and are launching campaigns to empower them. With version 2, you’ll see these vendors exclusive features added to the platform at a granular level that have never been implemented in the cloud before. You’ll not only be able to provision to the major call control platforms. So, we’re talking about BroadSoft, MiCloud, IP Office Cloud, 8×8, RingCentral and many more but also real time manage device from the cloud. One of the things we’ve found on this journey over the last 3 years is that companies don’t just want provisioning of their SIP phones. They want to monitor their devices and have access to analytics and in-life management. The uptake has been brilliant. Primary, enterprise customers have been toying with it, but we are now bringing it down to small businesses and mid-market. One example, they’ll be able to schedule firmware updates at a specific time for a group or location of deployed in-life devices and actually manage their own estate from the cloud. The biggest element of version 2 is managing other devices like session border controllers, routers and switches. Anything we can get our hands on and send information too will be our key play over the next year. “We’re bringing the kind of features that you associate with huge enterprises to the lower end of the market and making it affordable. When I was involved in launching SIP devices and services in its infancy the vision was affordable and flexible solutions, this is still our focus to this day some 17 years later”. All the above is direct from John as he explained what was coming in version 2. I stopped him briefly to jump in and say how refreshing it was to hear his passion for provisioning, given my background running provisioning teams. I told him that I knew first hand the types of challenges that are faced on a day to day basis – and wished Swoop Datacom was around when I was trying to find new staff to manually configure phones without any experience. “We didn’t do this to make a quick buck. The idea was longevity and to grow over many years. We’re still in our infancy and still developing but we’ve been quickly adopted by 15 distribution partners serving around 80 countries in our first two years after launching v1.0. We’ve had huge uptake which tells us we’re doing the right thing and 9 versions later we’re leading the market, supporting the largest telephony manufacturers and distributors in the world. “From a service side, the case study stats make this rewarding. You must stop and say this is something special. Take Vodafone who increased productivity by 63% and decreased overheads by 72%. This is Vodafone Germany selling Yealink, Snom, Obihai and Polycom IP devices. It’s the perfect multi-vendor environment utilised by Vodafone and facilitating sales of One Net Business in the move to SIP from ISDN. “There are probably 60 features wrapped around the provisioning tool and for the price our channel partners are blown away when they actually gain a 50% margin for using the product whilst cutting costs. I guess that’s why we’re successful. We decrease overheads for the distributors and resellers whilst increase their margin and the end customer seen improvements in service levels and support. One of the major things we wanted to move into is the legacy comms companies that aren’t yet embracing SIP technology. We know that just adding a SIP card to the PBX is not enough. We’ve modelled our solution so it’s easy for legacy providers to get on board with provisioning for the cloud. Anyone with any level of technical competency can use ForgeServe to deploy and manage their devices seamlessly in real time”. Does Plantronics and Polycom’s rebrand to Poly impact you? I was keen to see how some recent announcements would impact Swoop Datacom. John said that it won’t impact the technical side at all. “We work closely with Polycom daily. They are the second largest adopted vendor on our platform with some very powerful supported features. 70% of Polycom’s route to market are already using ForgeServe so we help them grow at every possible opportunity. Poly will bring a new angle for us with headsets and we already work with Obihai equipment so there are no negatives to their mergers and acquisitions from our perspective. We meet on a regular basis for projects and its exciting times for both them and us. We’ll certainly be working with them in the near and distance future as our products become tightly integrated. I wish them best of luck as Poly and look forward to continuing our close relationship. Does the Skype for Business to Microsoft Teams transition change things? I mentioned the volume of Skype to Teams literature there is online at the moment. John told me “from a provisioning perspective, there might be a few changes as Teams devices are Android based. The key thing for us is that our major growth will be measured on managing metrics, analytics and in life management of those devices. I would think it will change the way we work slightly, but it there won’t be any show stoppers or a negative impact. In fact we actually recommend that Android is adopted where possible as we develop our own apps and hooks in this technology”. John and his team will be at all the exhibitions coming up in the industry. 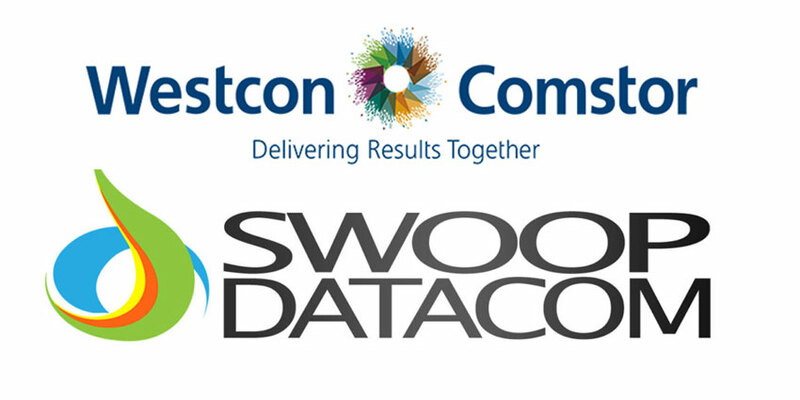 You’ll likely bump into Swoop Datacom at Call Contact Expo, UC EXPO and Channel Live. Swoop Datacom has also sponsored our 2019 market guide. To register for a copy, use this link.